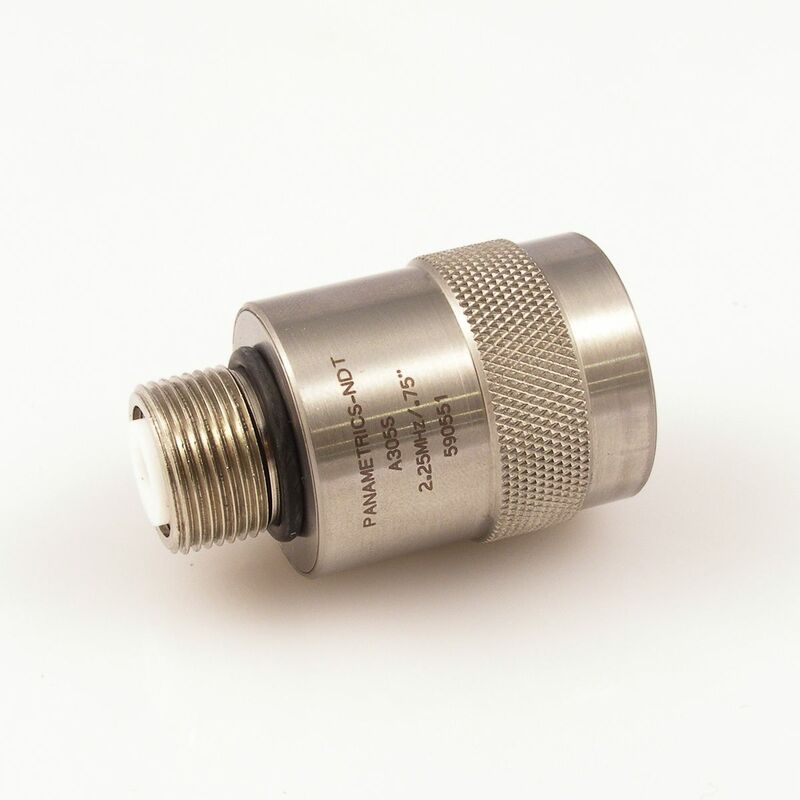 An immersion transducer is a single element longitudinal wave transducer with a 1/4 wavelength layer acoustically matched to water. 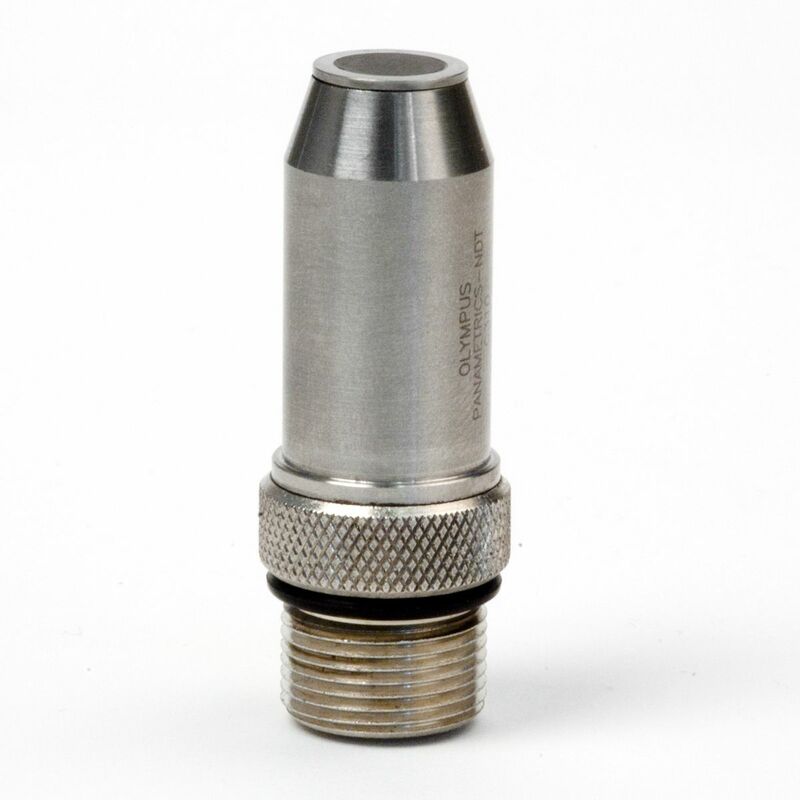 Immersion transducers are specifically designed to transmit ultrasound in applications where the test parts are partially or wholly immersed in water, which allows a uniform and fast coupling technique for rapid scanning of parts. 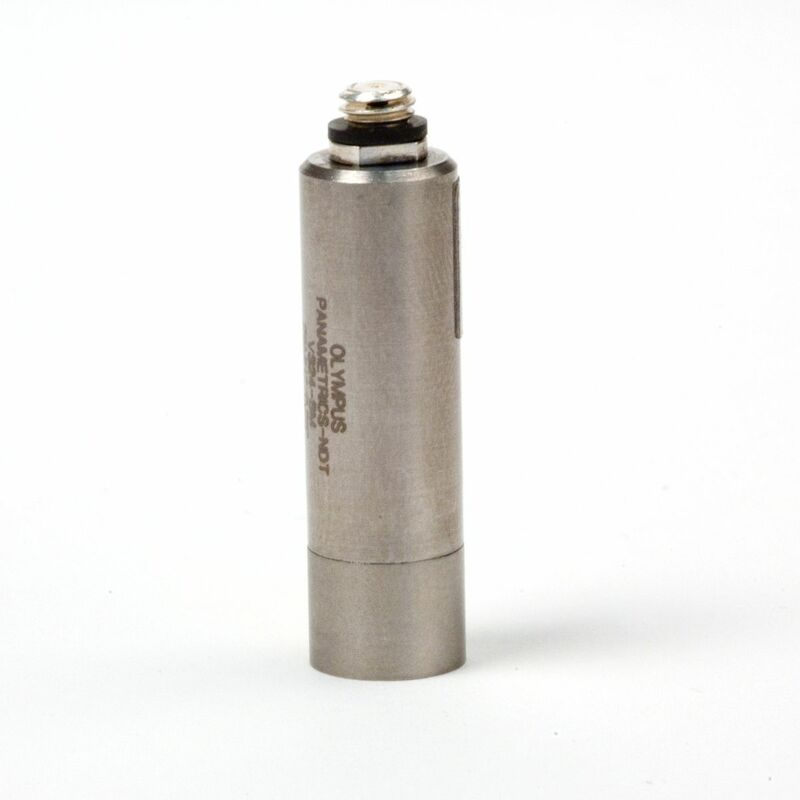 Focusing lens can be added to increase transducer sensitivity and performance in a particular area of a part. 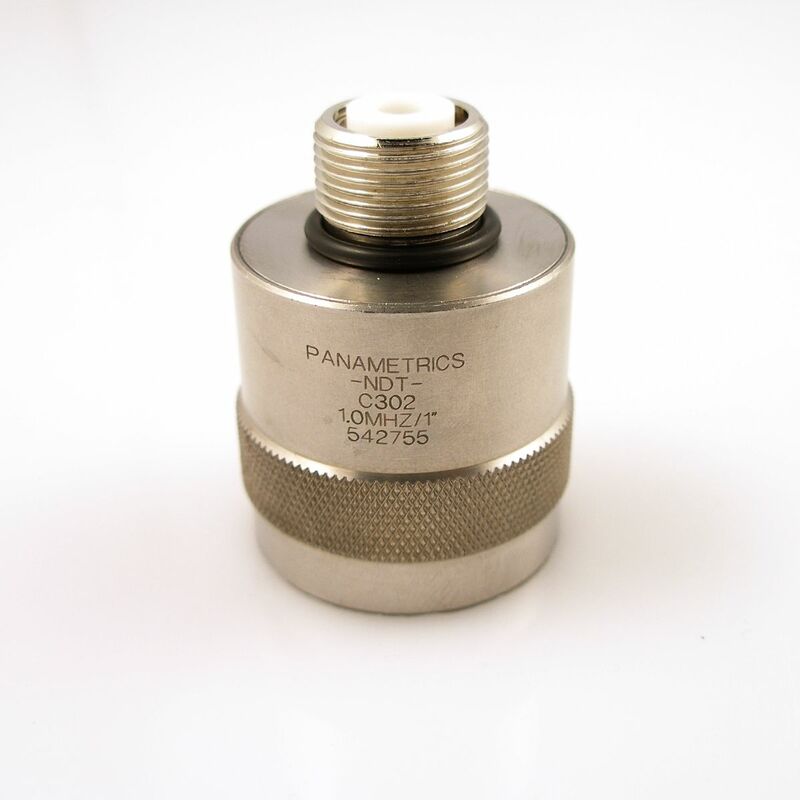 Immersion transducers can be focused either spherically or cylindrically upon request within the allowable focal range for a given frequency and element size. Usage Note: Transducers should not be submerged for periods exceeding 8 hours. Allow 16 hours of dry time to ensure the life of the unit. 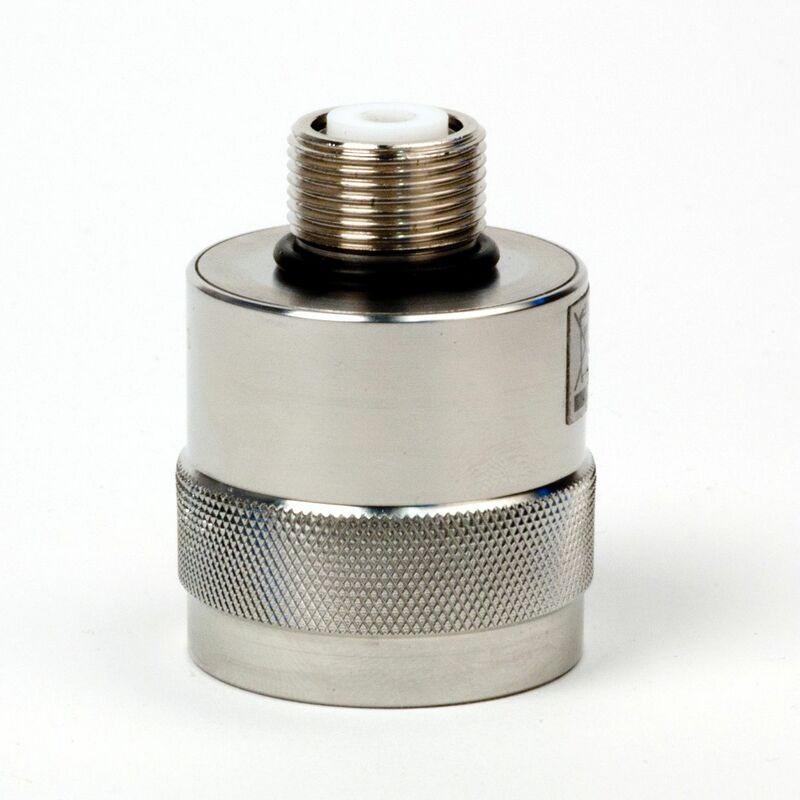 Various element and case sizes with straight UHF connectors and 303 stainless steel case housings are available. *Please select a specific focus between min max. To view point target foci, click here. 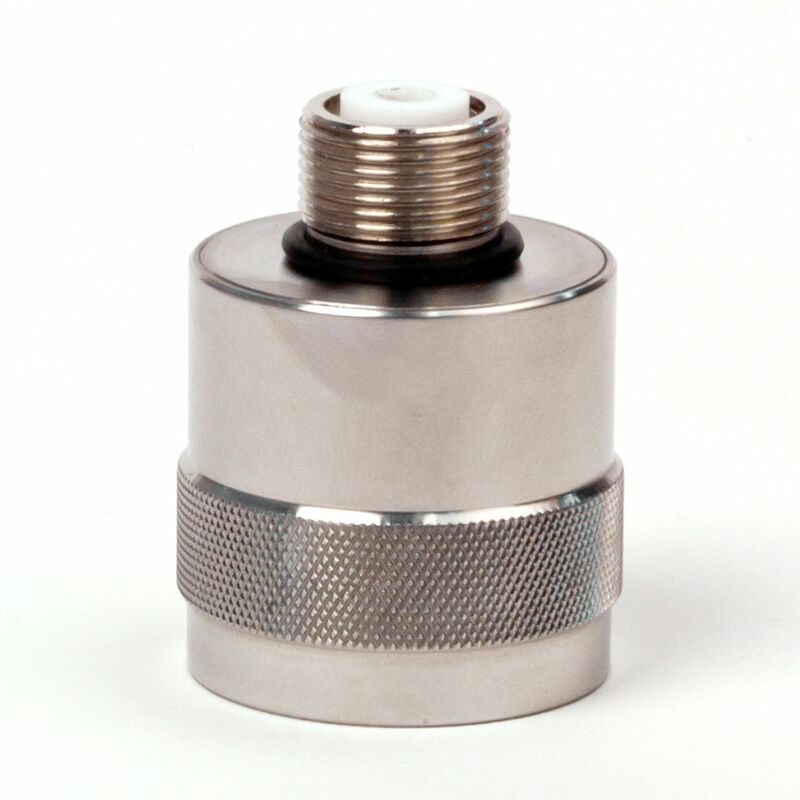 Immersion Transducer, 1 MHz, 1.125 in. 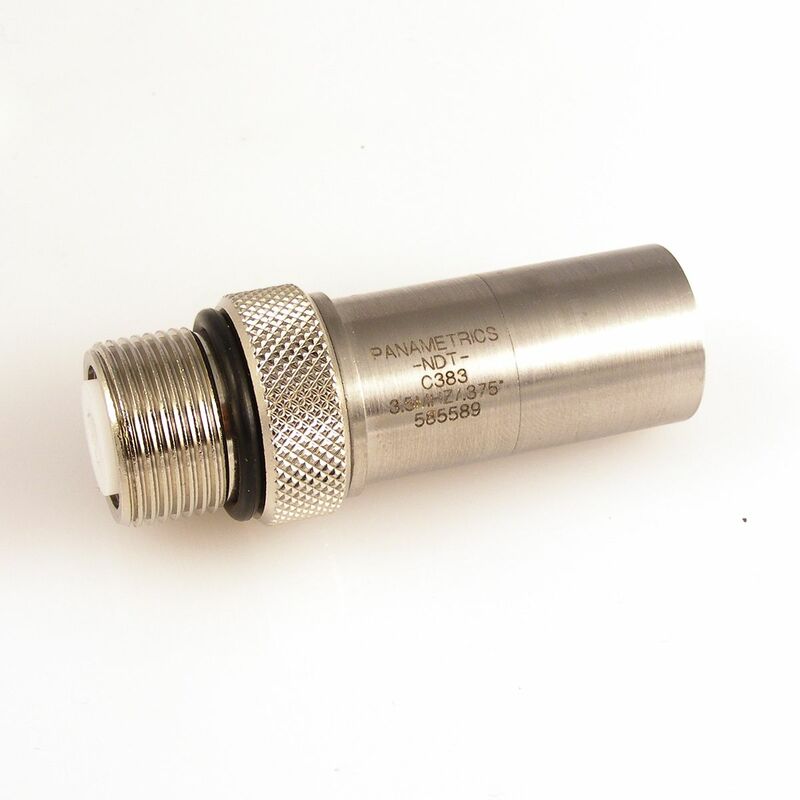 Element Diameter, Standard Case Style, Straight UHF Connector, Includes Test Form Certificate. 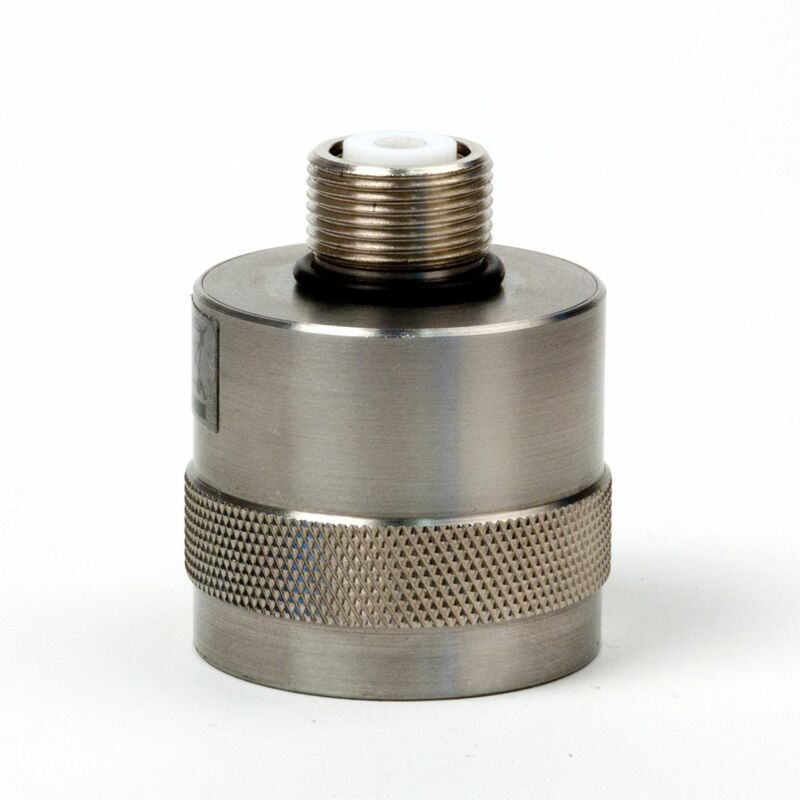 0.25 inches (6 mm), 0.375 inches (10 mm) and 0.50 inches (13 mm) element diameters in 0.63 inches (16 mm) housings with straight UHF connectors and 303 stainless steel case housings. If a focus is required, select a focal length between min. and max. **If a focus is required, select a focal length between min max. 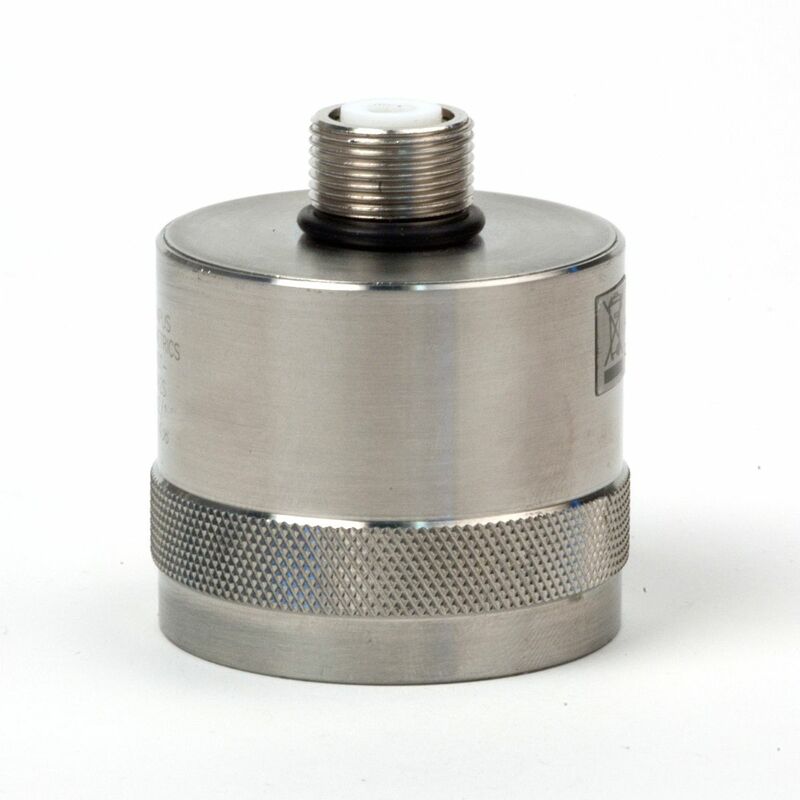 Immersion Transducer, Gagging Series, I-3 style case, 2.25 MHz, 0.375 in. 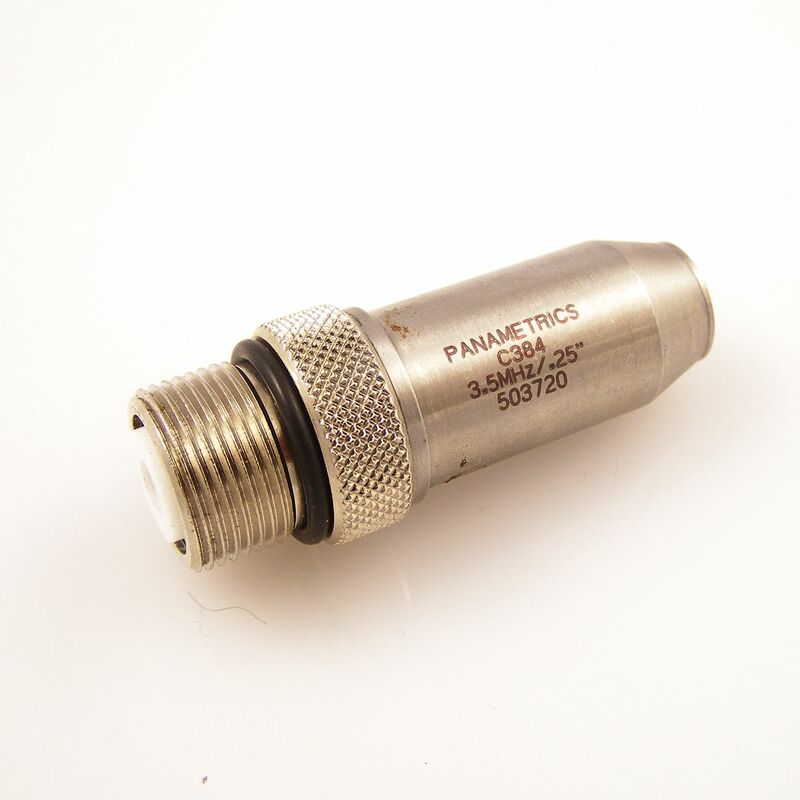 element size; Straight UHF Connector, includes Test Form Certificate. 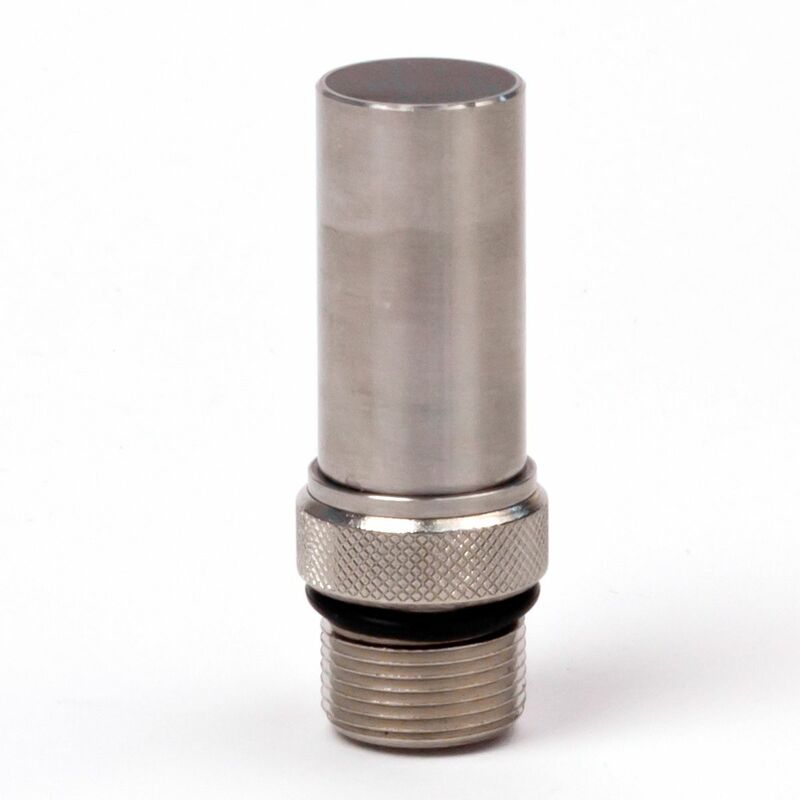 0.25 inches (6 mm) diameter elements with 0.375 inches (10 mm) housings for difficult to reach fillet or bore areas are available with straight Microdot (I-1) or straight UHF (I-2) connectors and 303 stainless steel housings. 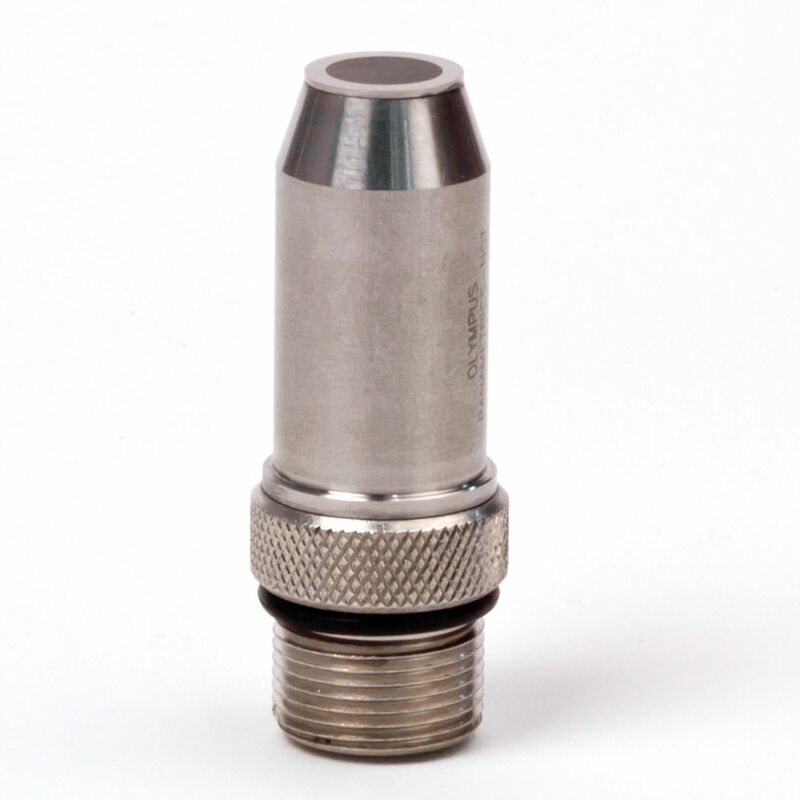 To view transducer point target focus, click here.